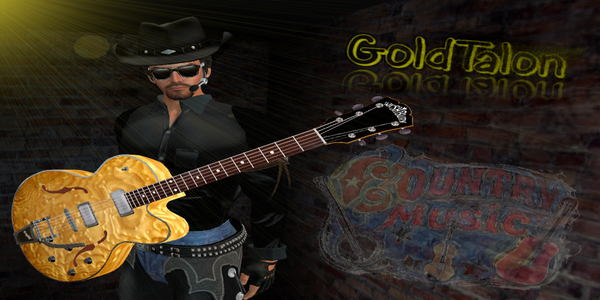 Gold Talon is one of the FEW country singers in SL that I would drop what I’m doing to go hear him. He sings from his heart and he has FUN with his audience and truly APPRECIATES the fans he has in SL. If you haven’t heard him yet, try to catch a show and if you’re a venue looking for a true country singer….Gold is your man!